“You know what we need in the Cultural Quarter? A great new restaurant.” How many times have we said that over recent years? Far too many to count! 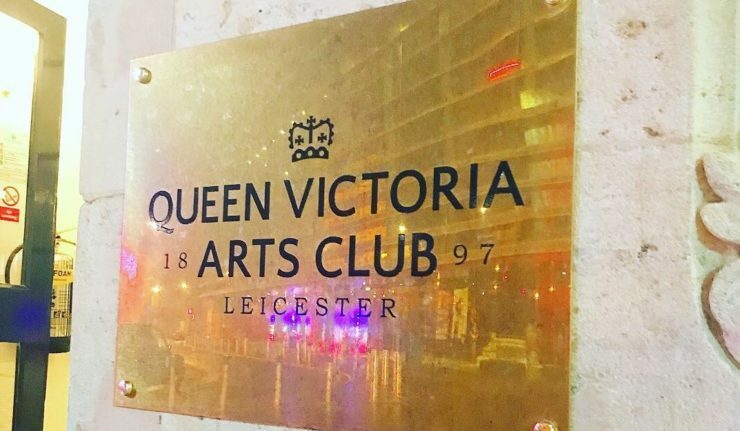 With the exception of Chutney Ivy, the Cultural Quarter has been crying out for a great evening dining spot so you can imagine how delighted we were when news started to spread about the opening of the Queen Victoria Arts Club. 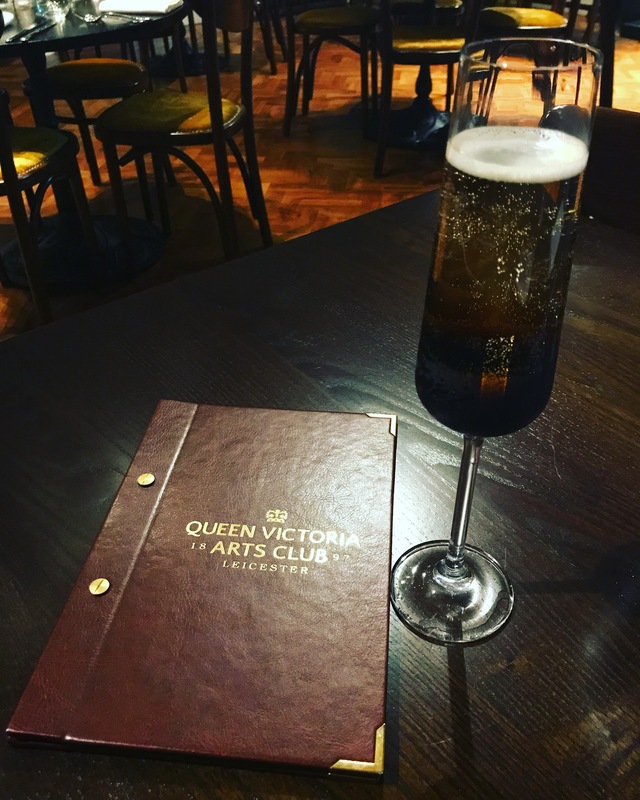 Of course, not just a restaurant, the Queen Vic is also a cocktail bar, meeting space and private members club. The members club aspect seems to have thrown a few people in how it operates, so let’s clear that up first… the upstairs bar and restaurant is very much open to the public and you’re welcome to book a table in the restaurant or pop in for a drink at any time. We’ll come onto the food in a moment, but firstly the building itself deserves a special mention. The big money refurbishment of the grand building on the corner of Orton Square is quite something, from the flooring to the interior detail, it’s clear that a lot of time has gone into making this a stand out venue in Leicester’s dining scene and a world away from the building’s former, erm, glory (excuse the pun). So does the food stack up? In the weeks since opening the menu has already undergone some changes, mainly in the price department. 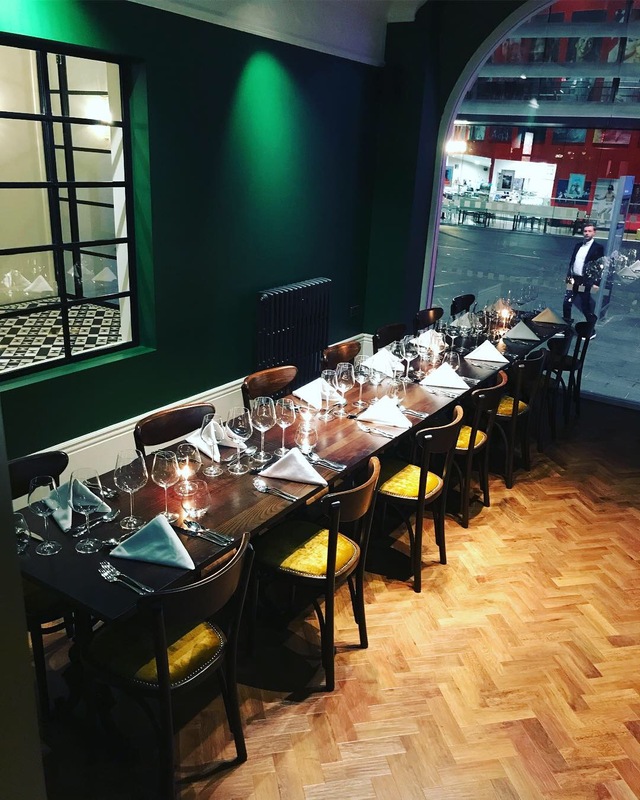 When the opening was first announced and the menu revealed, the prices ranged from £15 – £24 for a main course, whereas they have now changed to an upper limit of £18 for both the beef and the lamb, which are the menu’s highest priced dishes. 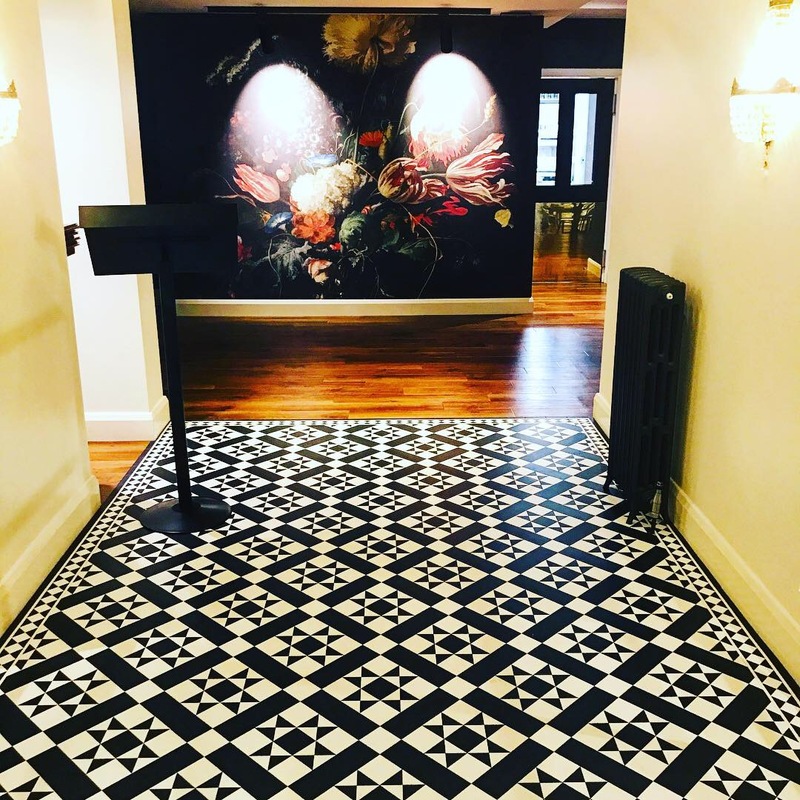 Hopefully it could be this change that will ensure that the restaurant is accessible for people on a more regular basis and not reserved only for a special occasion. With their reasonably priced pre-theatre menu as well, let’s hope that stays the case! 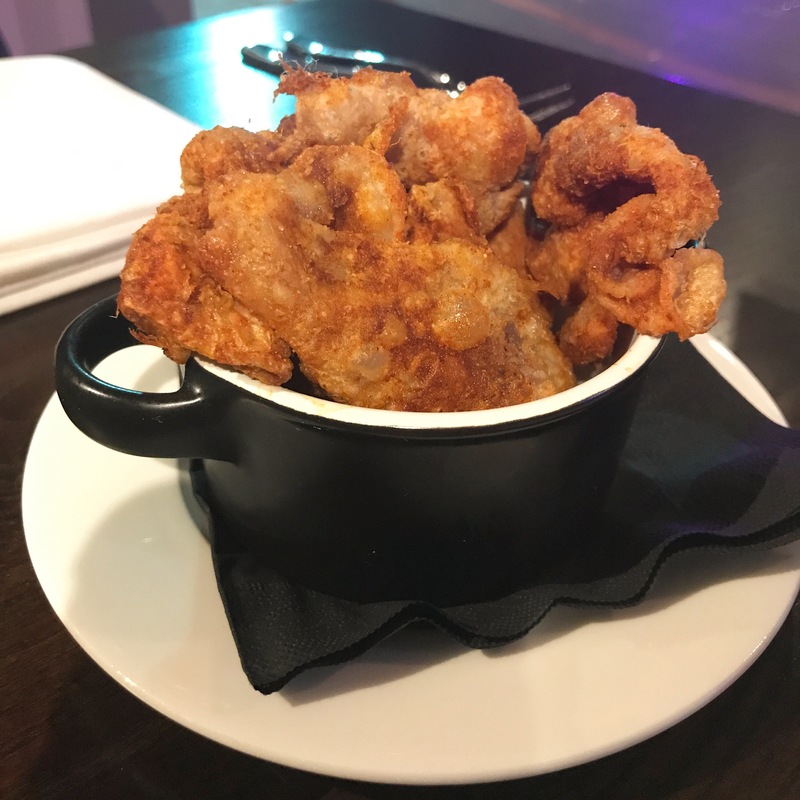 The menu really showcases British classics and one of the stand out items comes right at the very beginning in the form of their Home Fried Chicken Crackling; an absolutely must try from the menu. You will feel so naughty about trying it, but you’ll regret it if you don’t! The perfect crunch on the warm, salted skin, they’re of course incredibly bad for you, but you have to treat yourself sometimes! Definitely one for sharing though as most would struggle to get through the portion themselves. Starters include Cured Salmon, Duck Liver Parfait, Roast & Pickled Beetroot and Roast Pumpkin Soup, among others, but it was the salmon cured with Koval Organic gin, lemon and jasmine, served on a blini with mackerel caviar, dill and caper creme fraiche, that stood out. 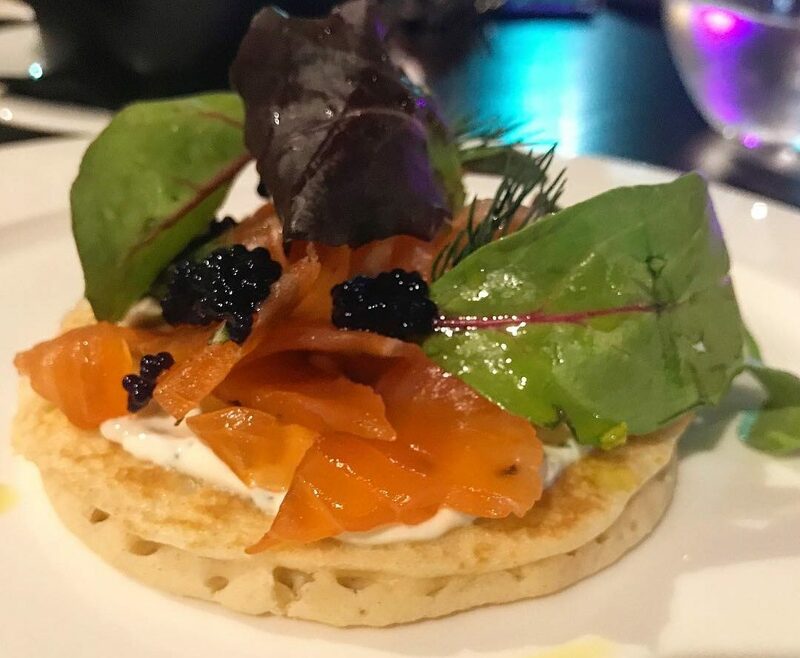 Nicely presented on a large blini, the flavours of the salmon blended well with the dill and caper creme fraiche, with the caviar adding that certain something extra. Certainly recommended. Moving onto mains both the Lamb with Peppercorn Sauce, Fondant Potato and Lightly Pickled Vegetables and the Roast Sirloin of Beef, Braised Mushrooms and Cured Pork, Mustard and Brandy Jus with Hand Cut Chips, were incredibly well received. The beef offered a somewhat larger portion than the lamb but the flavours on both dishes were well balanced and had clearly been carefully considered by the chef. 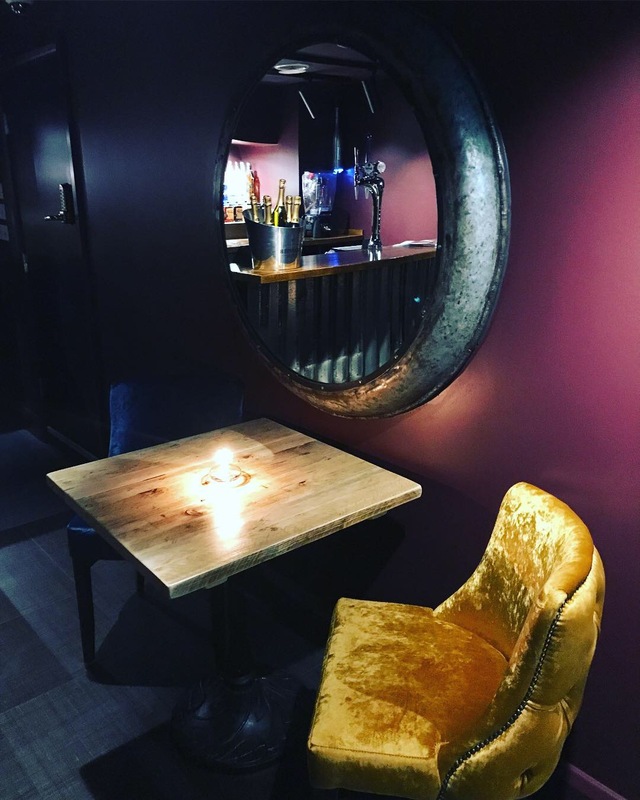 Both the beef and lamb were cooked incredibly well, and whilst the dishes weren’t necessarily groundbreaking in terms of fine dining, they’re certainly towards the top end of what’s currently on offer in the city centre in Leicester. That cured pork, mustard and brandy jus (or “creamy bacon sauce”, if you like), covering the beef, really is delicious and worth a try! For dessert the options range from the decadent (Blackberry Bavarois with Quince Sorbet and Charlotte Russe Cake) to simple (selection of cheese and biscuits or a selection of ice creams), but the middle ground was hard to find. I’m notoriously hard to please with desserts because I prefer them to be kept simple, however, for those of you with a more sophisticated sweet palate the Chocolate and Brandy Tart with Black Cherries was wonderfully presented and we’ve heard a few murmurings of appreciation for the Ginger and Rum Pain Perdu, Coconut Ice Cream, Toasted Coconut and Caramelised Pineapple too… just don’t ask me what it actually is. 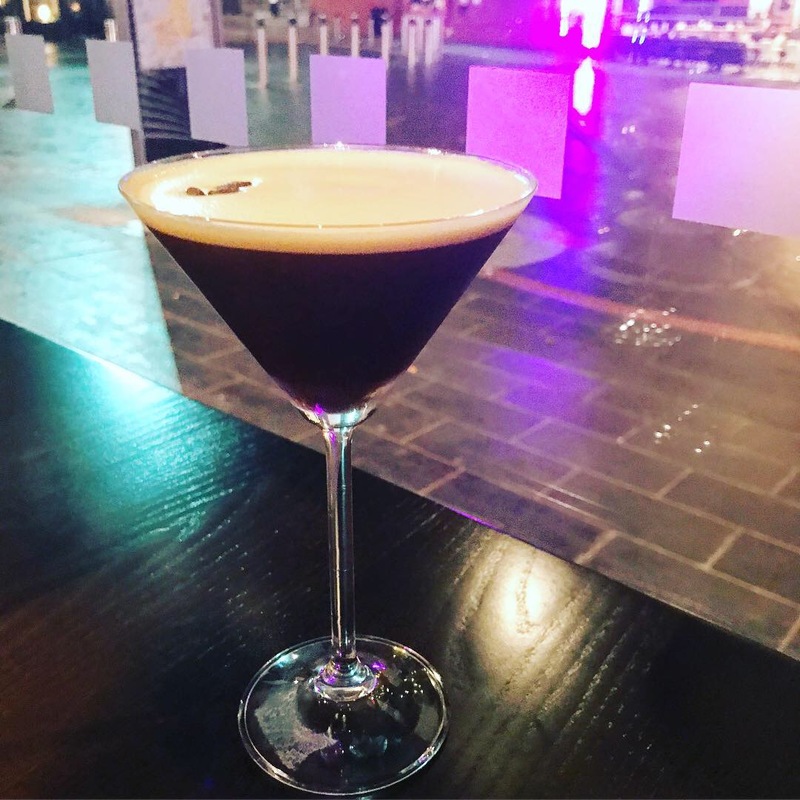 So, for my unsophisticated palette, a cocktail replaced dessert, and of course it had to be an Espresso Martini. I’ve often been known to judge somewhere on their Espresso Martini and the Queen Vic’s certainly stood up to the test. The perfect blend of sweet and strong, I’ll certainly be back for another very soon. Let’s also give another special mention to their Black Velvet cocktail, which started the evening in spectacular style. Ever thought of Guinness in a cocktail? No, probably not, but this one comes straight with Guinness and champagne. Such a simple idea yet perfectly executed. 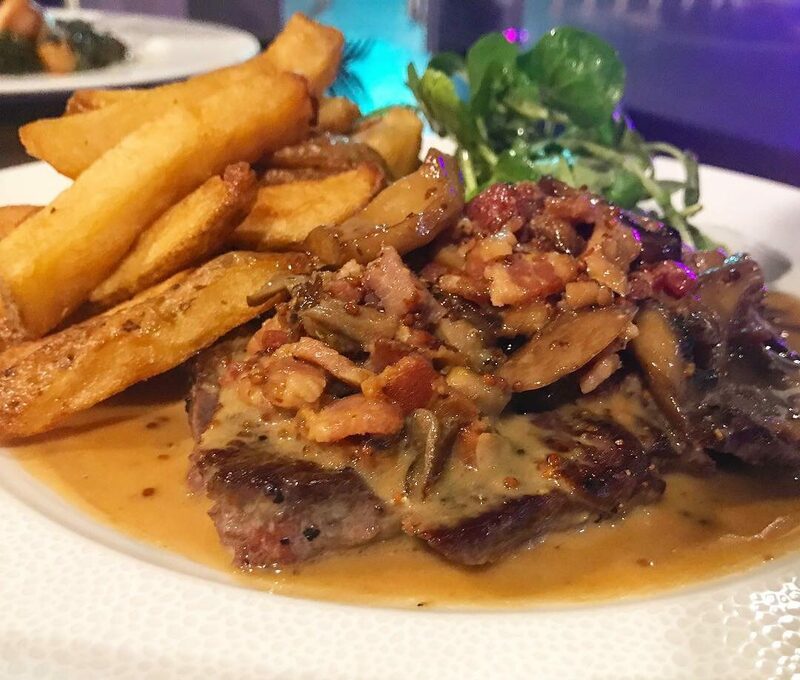 As we mentioned before the restaurant also offers a pre-theatre menu, which is served until 7pm and priced at £18 for 2 courses or £21 for 3 courses. With Curve bringing us another season packed full of fantastic productions we’re sure it won’t be long until we’re back to sample that too! So is it worth a visit? Absolutely. 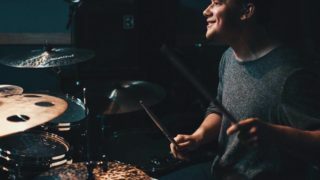 Of course, the venue does have their private memberships launching soon, which will give access to their private bar downstairs, but will this impact at all on the offering upstairs? We certainly hope not. The restaurant is certainly at the upper end of whats on offer in the city but without crossing into fine dining territory. It’s a wonderfully nice evening out, a chance to dress up, but not over the top. 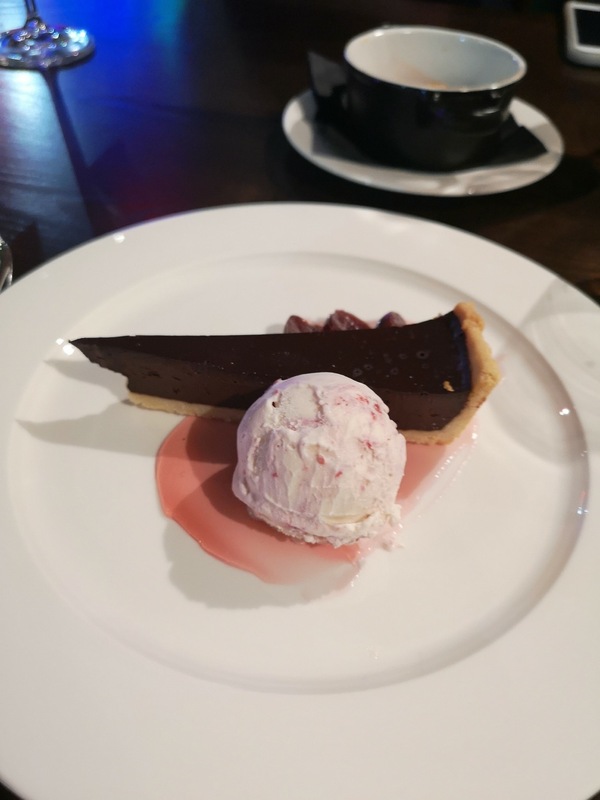 The pre-theatre menu ensures that it’s also accessible for those wanting to enjoy an early bite to eat, without being immediately priced out and furthermore, you know you’ll be enjoying some quality dishes for your money. 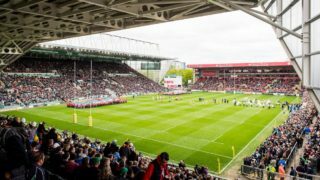 Would we pay £500 for a membership to the private members bar? (Let’s not think about whether we’d actually make it past the panel approval) Well apparently, as well as access to the bar, we were reliably informed that this also entitles you to invitations to some pretty snazzy and sought after events, so let’s revisit that one in the new year when more information becomes available. Queen Victoria Arts Club is on Rutland Street in the Cultural Quarter. Further information can be found on www.queenvicleicester.com.